Share your union passion through song! Write a song about what you like about your union and/or your Union Plus benefits. Here’s your chance to support the labor movement and impress your fellow union members with your musical talent. You could win $2,000 to help with your recording studio time, a new instrument or whatever you choose! 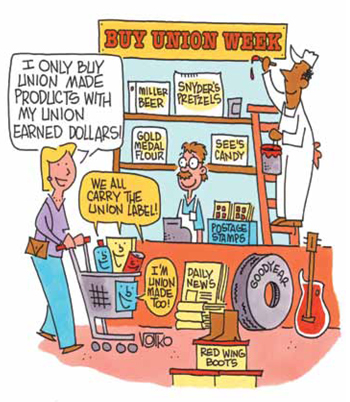 Union members can submit your union-themed song and/or ringtone today! Then your fellow union members will vote for their favorite song. Upload your song submission no later than Monday, September 6, 2010. Voting begins September 6, 2010 and ends Friday, October 1, 2010.